Find your home away from home in a One Bedroom Suite with a king sized plush, triple sheeted pillowtop bed and separate living and dining areas. Watch your favorite shows or pay-per-view movies on the 37-inch flat screen TV while relaxing on the double pullout couch. 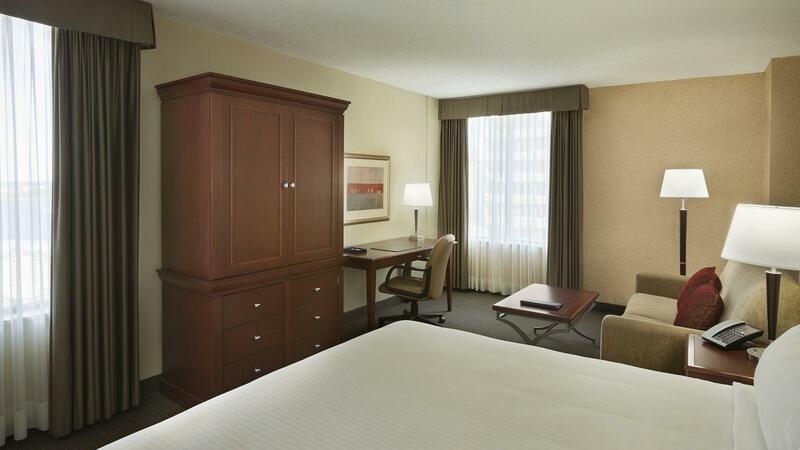 Amenities include complimentary high-speed Internet, in-room bottled water, and convenient mini-refriderator.